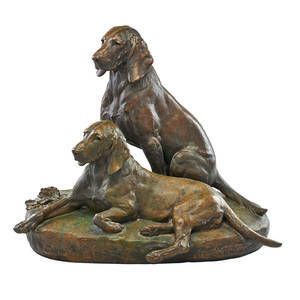 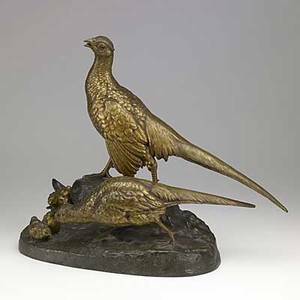 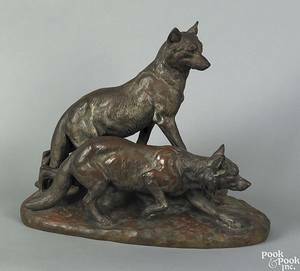 Jules-edmond masson (french, 1871 - 1932); bronze sculpture of two dogs; signed on base with foundry stamp: cire perdue de leblanc-barbedienne and fils, paris; 20"
Archived auctions similar to Jules-edmond masson (french, 1871 - 1932); bronze sculpture of two dogs; signed on base with foundry stamp: cire perdue de leblanc-barbedienne and fils, paris; 20"
Jules edmond masson (french, 1871-1932); bronze statue of a family of pheasants in a wooded landscape, ca. 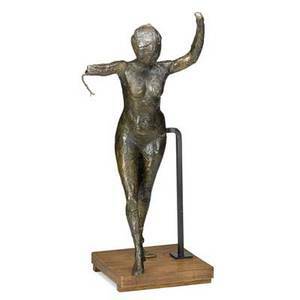 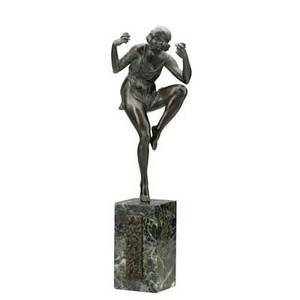 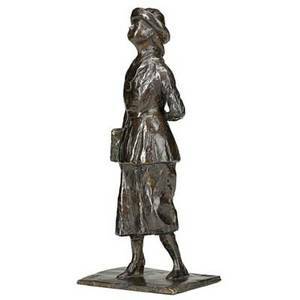 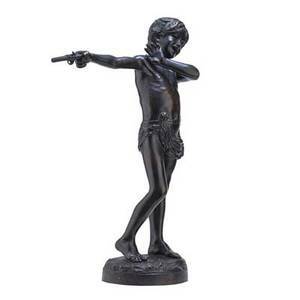 1900; signed j. e. masson; 18" x 22" x 9"
Pierre laurel (french, 20th c.); bronze sculpture of a dancing woman on marble base, ca. 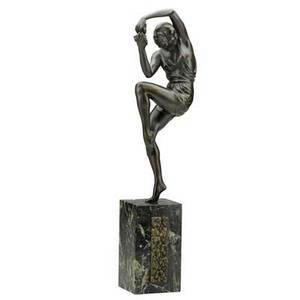 1930; signed in marble, paris foundry stamp in base; 20 1/4"
Pierre laurel (french, 20th c.); bronze sculpture of a dancing woman on marble base, ca. 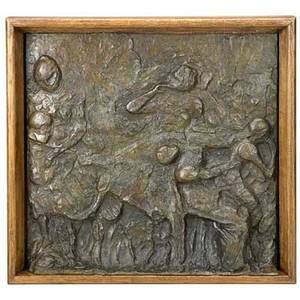 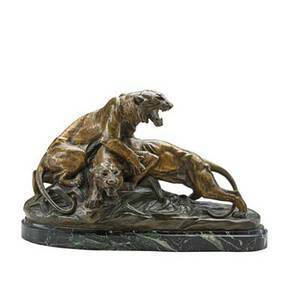 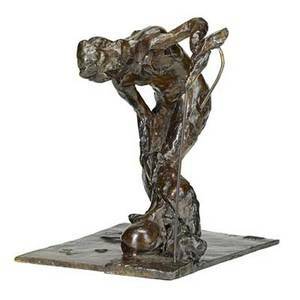 1930; signed in marble, paris foundry stamp in base; 18 3/4"
Edouard drouot (french, 1859-1945); bronze sculpture of tigers in combat on marble base, 19th/20th c.; foundry mark illegible; signed; 12 1/4" x 20" x 7 1/2"
French bronze sculpture; "le premiere impression"; signed illegibly, buenos aires foundry stamp; 33 1/4"